There are three current models available in the Sonicare ProtectiveClean Series, and they come in a variety of colors. 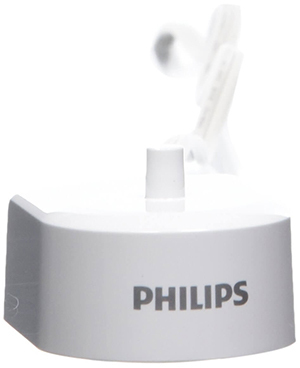 You can still find older models available that are supported by Philips, but we’re only going to discuss the models that are considered “current” as shown on the Philips Sonicare website. What distinguishes the Sonicare ProtectiveClean toothbrushes from the others? In short, they have all the performance and features of the more expensive FlexCare Connected and DiamondClean Smart Series, but lack the Bluetooth connectivity and phone app. If you want the cutting edge features of the toothbrush and have no interest in adding a phone app to your morning brushing routine, then you want to consider the Sonicare ProtectiveClean toothbrushes. Lithium Ion Battery with 2 weeks of battery life on a single charge. BrushSync – tracks how long you’ve used each brush head and prompts you to change it. They are a significant upgrade to the Essence Plus brushes with the higher speed, Lithium Ion battery, Quadpacer, BrushSync, and pressure sensor. The most significant difference is possibly the Lithium-Ion battery. You can expect a much longer life than the more temperamental NiMH batteries in the Essence Series. The Quadpacer and pressure sensor are nice quality-of-life upgrades that keep you brushing correctly. The BrushSync feature is relatively new and allows the brush to “sync” with the handle and track how long it has been used. The brush will beep when it has determined it has been used for the recommended time. The BrushSync feature behaves a little differently on the ProtectiveClean 4100 and 5100 models than it does on the 6100. On the 6100, each different type of Smart brush head will automatically switch to its corresponding brush mode. That means if you attach the C2 Optimal Plaque Control brush head to the 6100, then it will automatically go into Clean mode. If you then connect the G2 Optimal Gum Care brush head, then it will go into Gum Care mode. In addition to this, it will track how long you use the brush head and prompt you to change it. On the 4100 and 5100 models, the Smart brush heads only track how long you’ve used them and do not change to any particular mode. It’s important to note that it’s not a requirement that you use the Smart brush heads, and you can use the regular brush heads if you have no interest in this feature. Here’s a quick summary of the information above in a table format. As you can see, the difference between the ProtectiveClean models is small, with the 4100 model being the only one with a single brush mode. Many people prefer the simplicity of a single brush mode, but would rather have a varying amount of intensity. For that, you have to go for the 6100 model. There is a somewhat variable amount of intensity when you switch between the modes on the ProtectiveClean 5100, but it’s not equivalent to the options available on the 6100. The ProtectiveClean 6100 is the closest model to the FlexCare and DiamondClean “Smart” models aside from the lack of Bluetooth connection. Regarding power, the ProtectiveClean lineup has the highest strokes per minute (SPM) available from Sonicare toothbrushes and is equal to the FlexCare and DiamondClean series. You are only sacrificing the app features if you go with the ProtectiveClean 6100 model. You might be wondering what you’re missing out on by not getting the app features. The app is used to display information gathered about your brushing habits. It can tell you where you spend too much or too little time brushing and recommend areas that you need to touch-up after completing a 2-minute brushing session. It will prompt you when to switch to the next area of your teeth, like a visual representation of the Quadpacer feature. It also will show you a calendar that gives you an overview of your brushing frequency. The app is a way to visualize the features like the Smartimer and Quadpacer in a way that might help you improve your brushing habits. Truthfully, we find it a bit tedious. Not many people want to pull out their phone when they start brushing their teeth after just waking up. You still get the Smartimer and Quadpacer to help you switch areas and brush for 2 minutes anyway. Let’s take a quick look at the ProtectiveClean Series closest relative, the Sonicare FlexCare. There are a few different types of brushes under the general “FlexCare” name: FlexCare, FlexCare Plus, FlexCare Platinum, FlexCare Platinum Connected (or FlexCare Connected for short). The ProtectiveClean series is most similar to the standard FlexCare. FlexCare Platinum doesn’t have any models that are currently being produced and has mostly been replaced by the FlexCare Connected. We’re going to take a quick look at the FlexCare, FlexCare Plus, and ProtectiveClean in a side-by-side comparison and you can decide which might be right for you. 2-Packs of FlexCare Toothbrushes are available. Charging Travel Case with some models. 3 Week Battery Life with some FlexCare and FlexCare Plus models. All FlexCare models don’t have BrushSync. There might be some confusion about the brush speed specification if you check online retailers and compare specifications. Keep in mind that Philips started using the term “brush movements per minute” instead of “strokes per minute” on their spec listings. This effectively doubled the number that they are showing without actually changing anything. So the 31,000 strokes per minute is equivalent to the 62,000 brush movements per minute. As we mentioned before, you can choose to replace your brush heads with the “Smart” brush heads that are compatible with the BrushSync feature. However, it’s not a requirement. The ProtectiveClean brushes are compatible with the full array of Sonicare replacement brushes. It can be daunting to try and understand which replacement brush head you should buy. We recommend going with what’s more comfortable for you, as there is a significant improvement over manual toothbrushes with any one of these brush heads. After all, the best brush is the one you use. If you’re interested in diving into the clinical research, then check out these publications from Philips. The ProtectiveClean Series comes with a Lithium-Ion battery, which is much preferred over NiMH batteries found in the Essence Series. All of the models come with the same compact charging base. It’s small and easy to knock over when the brush is in place, but it does the job. The Travel Case included with the ProtectiveClean 5100 and 6100 models does not have charging abilities. It’s just for holding the handle and brush head. As always, you want to keep the area under the brush head clean, but don’t poke at the rubber seal. Taking the brush head off between cleanings to let it dry out is a good idea, or at least doing it every once in a while. There aren’t any significant issues that come up with taking care of the ProtectiveClean series, and it’s much more highly rated than the Essence and Essence Plus toothbrushes. A: Officially, no. However, you can buy lithium-ion battery packs and attempt to replace it yourself. We haven’t tried this, but it’s also important to note that the instructions for disposal of the battery instruct you to use a hammer to break apart the toothbrush and access the battery. There may or may not be a safe way to remove it without damaging the toothbrush. Q: Is the warranty international? A: Yes, the ProtectiveClean Series has a 2-year international warranty. Q: Can the ProtectiveClean brushes be left in the charger all the time? A: According to Philips, yes. Q: How long is the charging cord? The Sonicare ProtectiveClean brushes are an excellent choice if you travel internationally. You will likely need an adapter, but they are compatible with up to 220V outlets. Additionally, the 2-year warranty is international. There aren’t any common user complaints. Some people have a hard time adjusting to the power of an electric toothbrush and will leave poor reviews for a product that is working as it should. If you have any concern about this, you should be sure to buy a model that has a variety of intensity settings. For the ProtectiveClean, that’s the 6100 model. The ProtectiveClean Series fill the gap between the entry-level Essence Series toothbrushes and the more feature-pack, Bluetooth connected, FlexCare and DiamondClean toothbrushes. The FlexCare (non-connected) toothbrushes have more models available that have a variety of intensity settings and 2-packs of brush handles. If you and your partner are considering switching over to electric toothbrushes, then look for a deal on the pairs of FlexCare brushes.